Welcome at my website ! My name is Saiwin and I am a Dj from 1995... I began in a local studio and grow up in the Dj scene. I was going out every weekend and meet a lot of Big name Dj's in Holland. 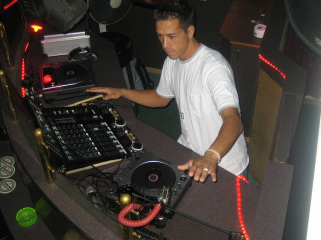 In 2001 I start my carriere in a Sexclub and played there for 7 years. Now I wanna build up my own radio station and wanna learn to produce my own electronic musiic. minimal, tech-house and (uplifting) club. For Bookings or informations go to Contact page !